Three teams to buy and three teams to sell for 2020 Super Bowl future odds. The [Westgate LV SuperBook](https://www.westgateresorts.com/hotels/nevada/las-vegas/westgate-las-vegas-resort-casino/casino/race-sports-book/) released updated 2020 Super Bowl future odds for every NFL team on Sunday. Let’s take a look at three team's odds we like and three we believe you should stay away from. Before we get started, [click here to see our initial thoughts](https://www.betchicago.com/best-value-bets-2020-opening-nfl-super-bowl-odds) when the 2020 Super Bowl future odds were released earlier this month. ### Buy __Kansas City, 6/1:__ The Chiefs have the shortest odds on the board, so we’re not taking any big leaps here. But 6-1 on Patrick Mahomes in his second full season as a starter? That sounds enticing enough. The Chiefs are set up for both the immediate and foreseeable future with Mahomes, who will likely win the [NFL MVP Award this weekend](https://www.betchicago.com/nfl-mvp-odds-mahomes-rodgers-favorite) at the age of 23. His offensive firepower, led by receiver Tyreek Hill and All-Pro tight end Travis Kelce remains. Of course, what kept Kansas City from its first Super Bowl in 49 years this season was its defense, which ended up getting defensive coordinator Bob Sutton [fired](http://www.espn.com/nfl/story/_/id/25825388/kansas-city-chiefs-fire-bob-sutton-defensive-coordinator). The Chiefs’ primary goal this offseason will be adding to the defense. If it can solidify that side of the ball, KC is good value at 6/1. __SB53:__ [Creative offshore props](https://www.betchicago.com/super-bowl-53-props-betting-commercials-president-trump-national-anthem) | [Referee trends could help bettors](https://www.betchicago.com/super-bowl-53-referee-john-parry-betting-results-ats-over-rams-patriots) __Chargers, 14/1:__ The Chargers are simply the best team in the NFL that no one respects. The Chargers have traditionally been known for [blowing games](https://www.foxsports.com/nfl/story/city-of-heartbreak-ranking-san-diego-chargers-devastating-losses-in-2016-112116) and bad beats. The truth is, the Chargers have been a powerhouse. Since starting 0-4 in 2017 under new coach Anthony Lynn, the Chargers are 21-7 in the regular season. They took a big step by winning in the Wild Card round at Baltimore before being [outclassed](https://www.washingtonpost.com/sports/2019/01/13/chargers-vs-patriots/?noredirect=on&) by New England in the divisional round. But the Chargers are only getting better. Quarterback Philip Rivers had one of his best NFL seasons despite turning 37. The Chargers’ defense is one of the most talented in the NFL. There’s nothing not to like about this team at 14/1. __Seattle, 30/1:__ The Seahawks have the highest odds of all of the 12 teams that made the playoffs this season. Seattle has had a strange journey and it may have affected their odds. It seems like they are being overlooked. Seattle revamped its roster and [shed](https://www.sltrib.com/sports/2018/07/28/seahawks-changes-leave/) many key players after the 2017 season. The Seahawks were not expected to be a factor in the 2018 season. Yet, Seattle won six of its final seven games and qualified for the postseason. Quarterback Russell Wilson is in his prime and the offensive line is now a strength of the team. Also, the new-look defense has performed well. With a couple more additions, this could be a strong contender in the 2019 season. ### Sell __Chicago, 14/1:__ The Bears are a good team that is set for the future. So, they should be a solid playoff contender in the 2019. But the idea of them being a true Super Bowl contender may be a little bit of a stretch. 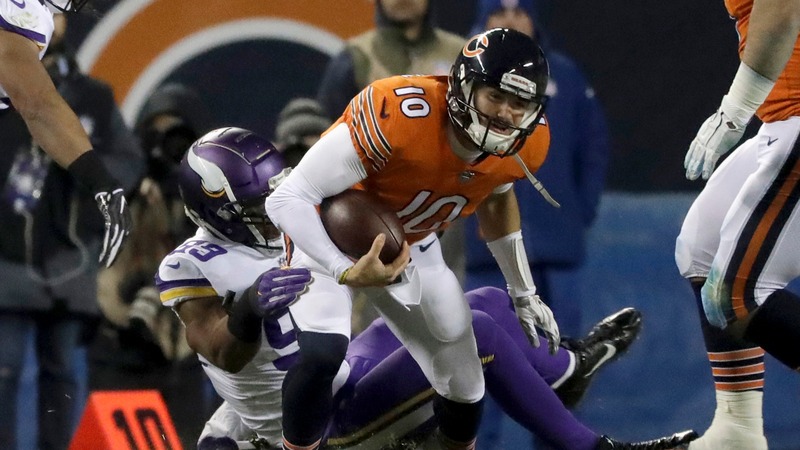 Quarterbacks Mitchell Trubisky still needs to develop. Also, the Bears could have learning curve on defense and the leadership [transfers](http://www.espn.com/nfl/story/_/id/25739315/chicago-bears-name-chuck-pagano-defensive-coordinator) from Vic Fangio (now the head coach in Denver) to Chuck Pagano. It seems like Chicago may be in store for a minor step back rather than a step forward with a tougher schedule on deck in 2019. __Pittsburgh, 14/1:__ Like the Bears, having the Steelers at the same odds of the Chargers at the moment is silly. There Steelers are nowhere close to where the Chargers are in the current AFC hierarchy. The Steelers finished poorly at were left out of the playoffs with a 9-6-1. There is the Antonio Brown issue that needs to get [figured](https://nypost.com/2019/01/28/sliver-of-hope-that-antonio-brown-comes-back-to-steelers/) out before we can even start to think about Pittsburgh as a legitimate Super Bowl play. __Green Bay, 16/1:__ This is terrible proposition. The Packers were 6-9-1 last season. Thy were 7-9 in the 2017 season. It isn’t like this team had a flukey season. The Packers are broken and need to be fixed. They hired young [offensive](https://packerswire.usatoday.com/2019/01/28/packers-wr-davante-adams-is-digging-matt-lafleurs-plan-on-offense/) mind Matt LaFleur as head job in an attempt to get the most out of the final years of Aaron Rodgers’ era. Perhaps it will work, but the chances of it happening in the first season are not realistic. __Game lobby:__ [Check out our free-to-enter contests](https://betchicago.chalkline.com/).